“Dinner is open, no body talk, no food talk, please find your seat.” I found my seat, and had to deal with the three other people at my table. I was a little taken back by the surroundings, I was sitting in a very old room. Sitting with three girls, all much bigger than me., they weren’t talkative, they just stared at their empty plates. I had no idea where the food was, or what we were going to have to eat. I only ate Greek yogurt, 80 calories black cherry is my favorite. All of a sudden, a staff member spoke up, “We will call your table up to the food bar, and bring your plate on your table to be served.” What food was she talking about? I didn’t see it, and some people had apples, salads, and cottage cheese. I had eaten all day, not a thing, and there was nothing in front of me. I was hunger, that anorexic hungry; you wait a few moments and then it passes. Our table got called up to this heating service table, with a server standing behind it. I put my plate out and I had no idea what it was, but he plopped some on my plate. There were three things, I didn’t recognize. I really wanted a yogurt, or at least an apple. I raised my hand, “What is it Corey/” “Umm, I have some issues I am hoping you can help me out” “Corey what is exactly your issues.” “I cant eat any of this, may I have an apple like the others, or better yet a yogurt? I appreciate it, but I never would have ordered this food.” “Corey, you have your food. Tomorrow you will fill out a menu. If you don’t eat 100% of your food, you are scheduled for bolus protocol.” “What is bolus protocol? Is there a manual of this place and all its rules. ?” “Corey, if you don’t eat 100% of your food, we will take a large plastic syringe, and plunge nutrients done your feeding tube. It is not something you want to happen. It isn’t pleasant for any of us” “This is not going to happen to me, I was never explained any of this. It is 5:30 and I have been at an eating disorders hospital since 9 am, and haven’t been offered a thing to eat. So I am done, and you best leave me alone. I will call the patient advocate, this isn’t a psych ward, I will not be treated like this.” “Are you all done with your fabulous newcomer show? Fine, leave, it will be reported tomorrow, and so will your refusal of the bolus. We will be in shortly to hook up your feeding tube and get that running for the rest of the night.” “Ok I am done, may I leave?” “Corey you are doing what you want to do, so leave if you want, it will be reported tomorrow morning.” I got up and pushed in my chair, I left without making any eye contact. As I got up to leave, people started cheering my name. I laughed a little but dreaded the night, and I was so hungry. 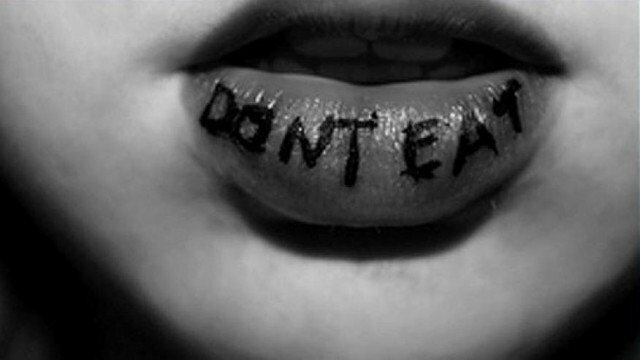 I went to my room, flopped on my bed, and journaled how hungry I was in an eating disorders hospital. I was so pissed I didn’t know what to do. I began to write down everything since I got there, but that was fruitless, and I was starved. The machine kept making this whiring sound, I knew I probably wouldn’t sleep. And this is how the story will continue: Corey gets out of Walden by starving some more so they have no choice. I will have to come back but I will be going home as you will soon read.